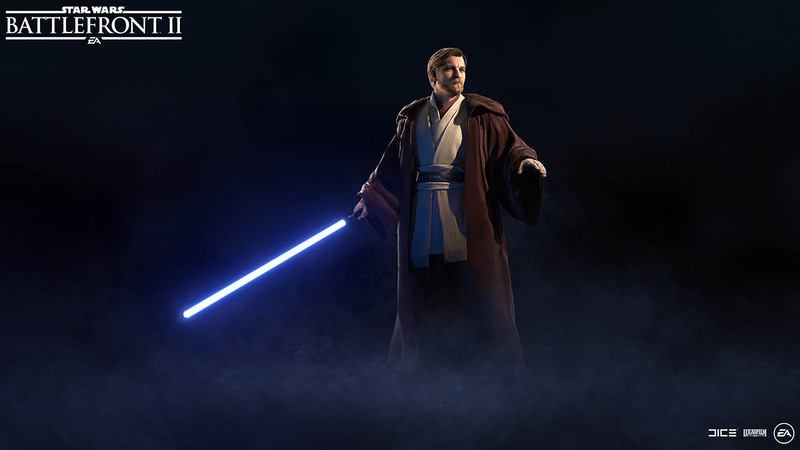 Even on the frontlines of the Battle of Geonosis, the first major Clone Wars conflict between the clone troopers of the Galactic Republic and the Separatist droid army, Jedi Master Obi-Wan Kenobi is a composed, precise fighter and leader. Striding across the dusty battleground that’s the center of the new Star Wars Battlefront II update, it’s clear that the legendary warrior’s style makes him a master of defense and a worthy addition to the fan-favorite game. Now you can follow Obi-Wan into battle, join the 212th Attack Battalion, and take on General Grievous himself while dominating the legendary battleground, get behind the controls of a massive six-legged AT-TE battle tank or gain a tactical advantage to disarm one. 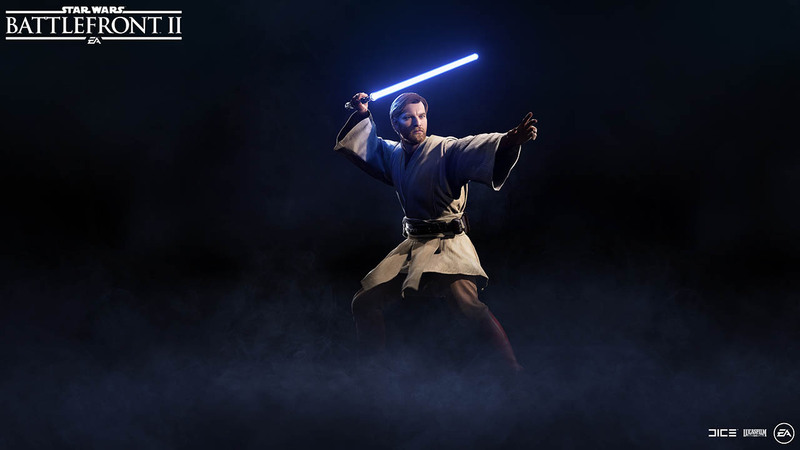 StarWars.com spoke with Battlefront II assistant producer Michael Dailey to help you master the Jedi’s abilities, traverse the harsh terrain, and emerge victorious to begin the Clone Wars. 1. Make a play for the AT-TE first. During the first phase of Galactic Assault, the Republic forces find themselves in desperate need of reinforcements. “In this phase there are two different locations the Republic must capture to advance the mode,” Dailey says. “But you may want to consider gathering your squad to capture the Acquire Vehicle objective first. Securing that objective will give the Republic forces instant access to an All Terrain Tactical Enforcer, otherwise known as the AT-TE, earlier.” And having a massive walker at your disposal is always a win. 2. You’re in control now! While other Galactic Assault game modes that feature vehicle targets follow clear linear paths, the AT-TEs stand out from the crowd because ‘they are fully controllable by players,” Dailey says. So hop behind the control panel yourself and take it for a spin or protect the walker from battle droid attacks. One way or another, you’re going to need the AT-TEs to get off this rock alive. “They are required for successful completion of both phase two and three of the battle. If they are all destroyed, it will be victory for the Separatists,” Dailey warns. 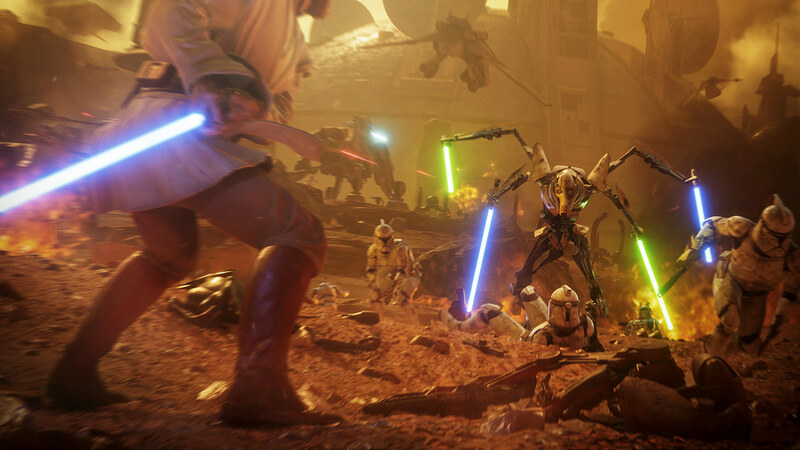 Now around the survivors a perimeter create and prepare to wage your own fight in the Battle of Geonosis update.